CHARLESTON, S.C. (CNS) — In a demonstration of what charity is all about, students in the Diocese of Charleston — like people across the nation — are trying to help victims of the three massive hurricanes that unleashed their fury on the U.S. mainland and islands in the Caribbean. One after the other, in a span of about three weeks, hurricanes Harvey, Irma and Maria wreaked havoc with destructive tornadoes, floods and winds so strong they bent and twisted an iron cross outside a Jesuit school in San Juan, Puerto Rico. Debbie Wilfong, principal of St. Andrew School in Myrtle Beach, said a group of fifth-grade girls, “upon their own initiative,” met with her to get permission for a bake sale. They set a date, created posters to advertise the event, and assigned jobs to all the fifth-graders. They even tapped Father Roger Morgan, administrator of the school’s parish, for baking duties, which he accepted. St. Andrew’s volleyball team also joined the outreach, deciding to donate all proceeds from their weekly bake sales to hurricane victims. Wilfong praised the students “for being altruistic, and being examples of service beyond self,” adding that the kids also made cards for children in the disaster areas. Other schools are participating in the “Student to Student” campaign run by the National Catholic Educational Association — http://ncea.org/sts. Some of those schools in the Charleston Diocese include St. Peter in Columbia, Divine Redeemer in Hanahan, and St. Gregory the Great in Bluffton. 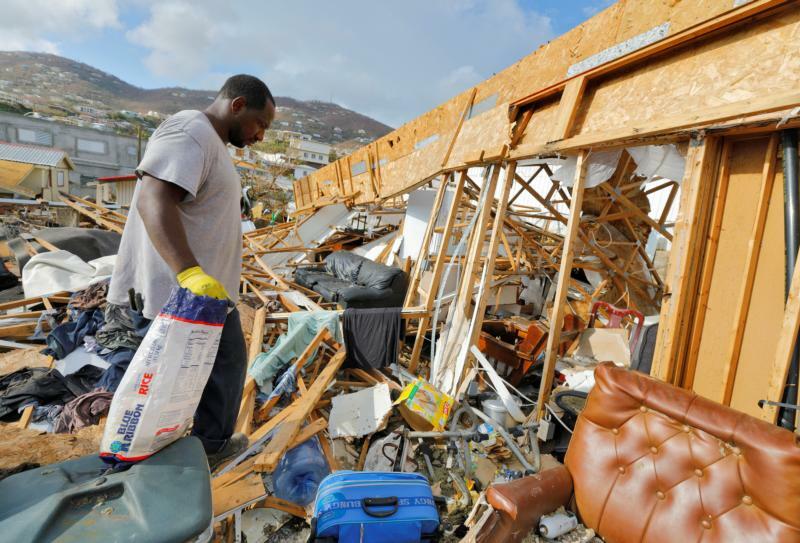 The NCEA will distribute 100 percent of funds collected to dioceses in affected areas for their school communities, said Kathy Preston, principal of St. Peter, in an interview with The Catholic Miscellany, Charleston’s diocesan newspaper. One of the most popular ways for schools to raise money is to let students ditch their uniforms for a day, in exchange for cash. St. Mary’s Student Council in Greenville sponsored a casual dress day and collected more than $900. Students at St. John Neumann in Columbia paid $1 for each nonuniform item they wanted to wear and raised $1,800. At Prince of Peace in Taylors, students created and sold T-shirts plus held a dress-down day. Meanwhile, at Holy Trinity in Longs, a collection was held at Mass and students were planning a car wash for Oct. 14. Schoolchildren also were praying for everyone, and sending letters and cards. “Students are expressing their concern and letting the children (in storm areas) know they are praying for them,” said Patti Lanthier, principal of St. Paul the Apostle in Spartanburg. Chris Trott, principal of St. Gregory, said they also were writing to the seminarians based in Houston. In addition to students’ support, Catholic Charities workers from South Carolina were in South Florida from Sept. 25 to Oct. 6 to aid in the recovery process for communities ravaged by Hurricane Irma. In response to an SOS from Catholic Charities USA in South Florida, the agency deployed Kelly Kaminski, director of disaster services; Brantli Senn, disaster program manager; and disaster case managers Brittany Soward and Sherry Starrs. When Kaminski spoke to The Catholic Miscellany, she and her colleagues were assisting Catholic Charities in the Diocese of Palm Beach, which covers five counties in South Florida. They spent the first several days collaborating on a strategic plan to help local victims. Then, Kaminski said, the workers held five community events to help determine what residents needed. Translators who spoke Spanish and Creole were on hand to assist the area’s diverse population, which includes a large number of Hispanic and Haitian residents. She said Palm Beach County was the hardest hit in the area, and most of the people they are assisting live inland or in rural areas, where many were affected by heavy rains but do not have flood insurance. Before they left for home, the South Carolina workers helped assess residents’ needs, distribute food and water, and assist people with scheduling appointments for further assistance during a Catholic Charities-sponsored community outreach events at four parishes in the cities of Fort Pierce, Pahokee and Belle Glade, Florida. According to Kaminski, Irma’s effect on Florida was by far the largest disaster the team has been involved with. As of Oct. 3, 93,000 people had registered claims with the Federal Emergency Management Agency in Palm Beach County alone, and nearly 2 million people had registered with FEMA statewide. Kaminski added that she likely would head back to Florida within a week of returning home Oct. 6 to continue the relief efforts. She said Catholic Charities also planned to assist thousands of Puerto Rican victims of Hurricane Maria, who are expected to start arriving in Florida in the near future. Christina Lee Knauss contributed to this story. Taylor and Knauss are reporters at The Catholic Miscellany, newspaper of the Diocese of Charleston.